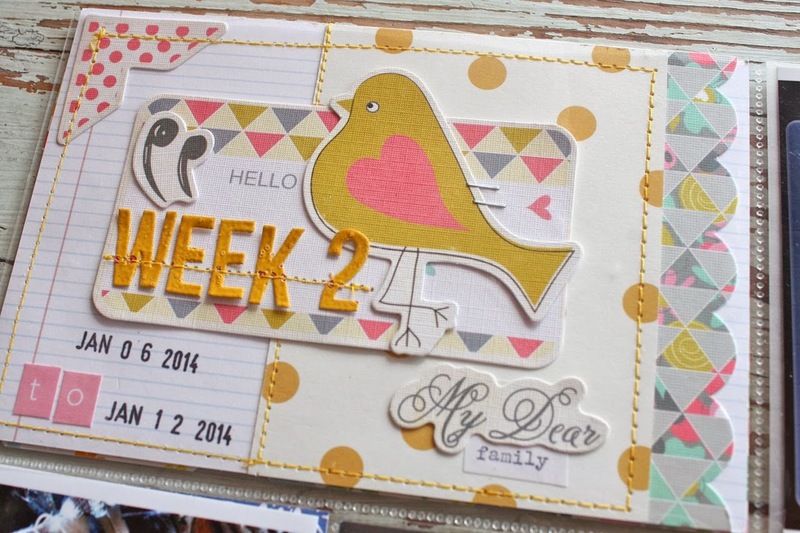 Today I'm sharing my Project Life Week 2 spread with you. 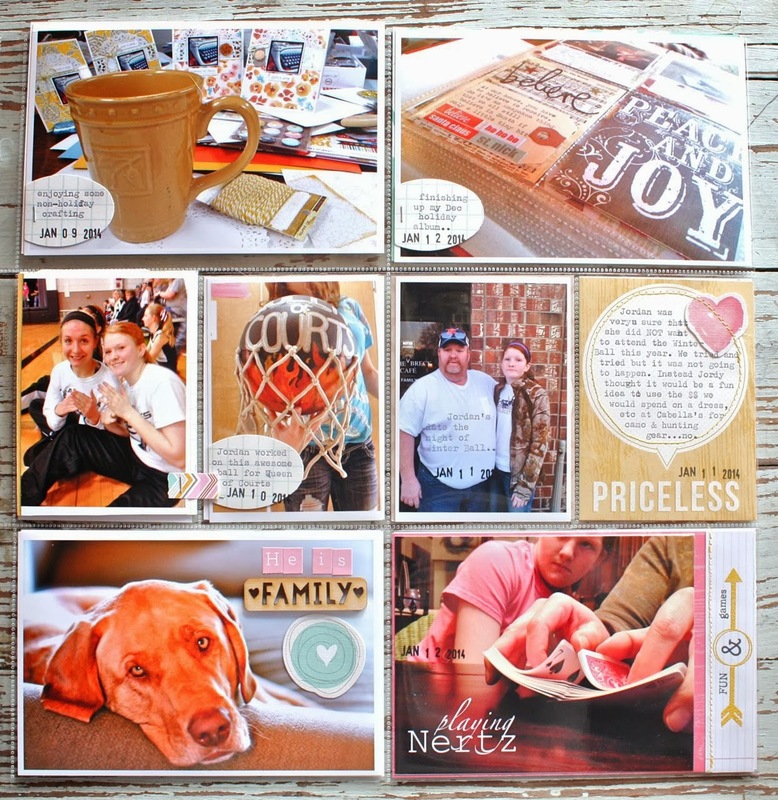 I've got a fun post up over at the Gossamer Blue blog today which goes into detail about getting the most out of your Life Pages kits. 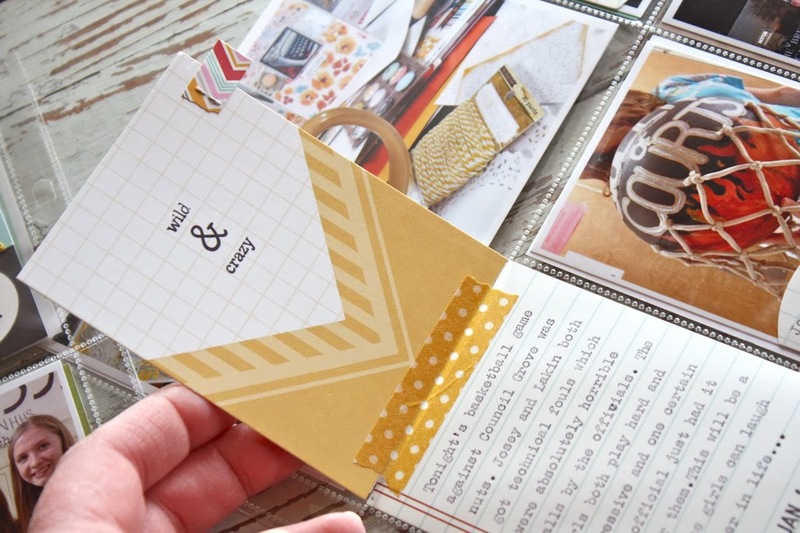 You can scroll though my photos in that post to see how I added details to make my pages more interesting. Here's the full two page spread for Week 2. Lots of details on my weekly, dated 4 x 6 insert. 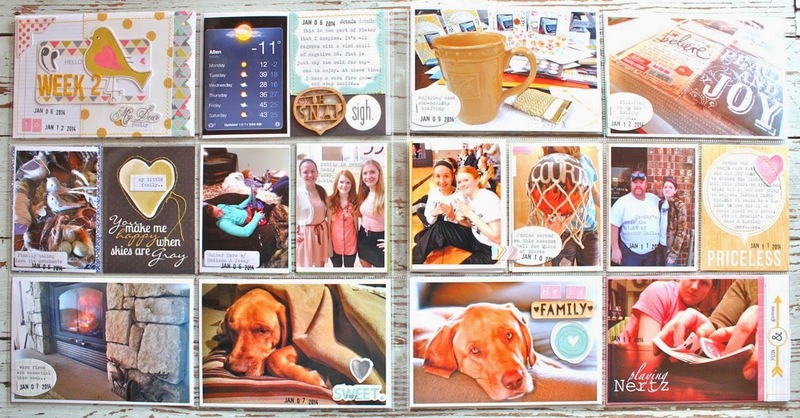 Here I created a flipper insert by using two 3 x 4 journaling cards and a photo. 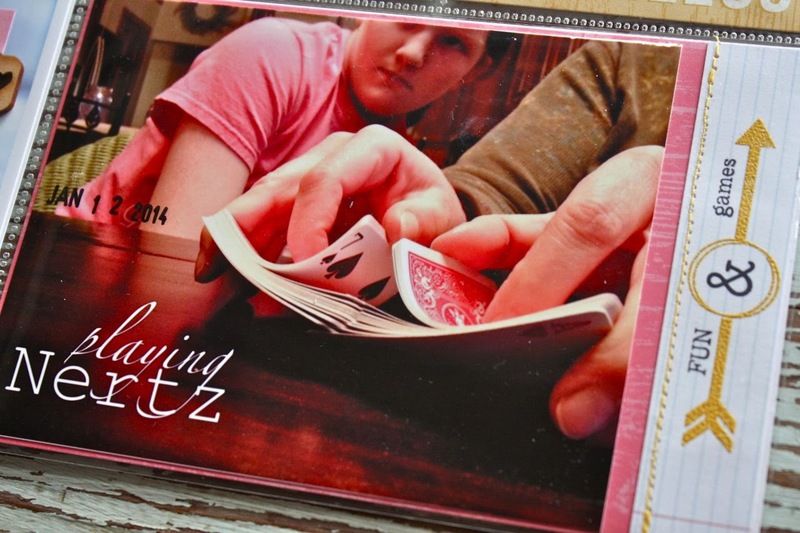 The photo flips up to reveal some typed journaling. 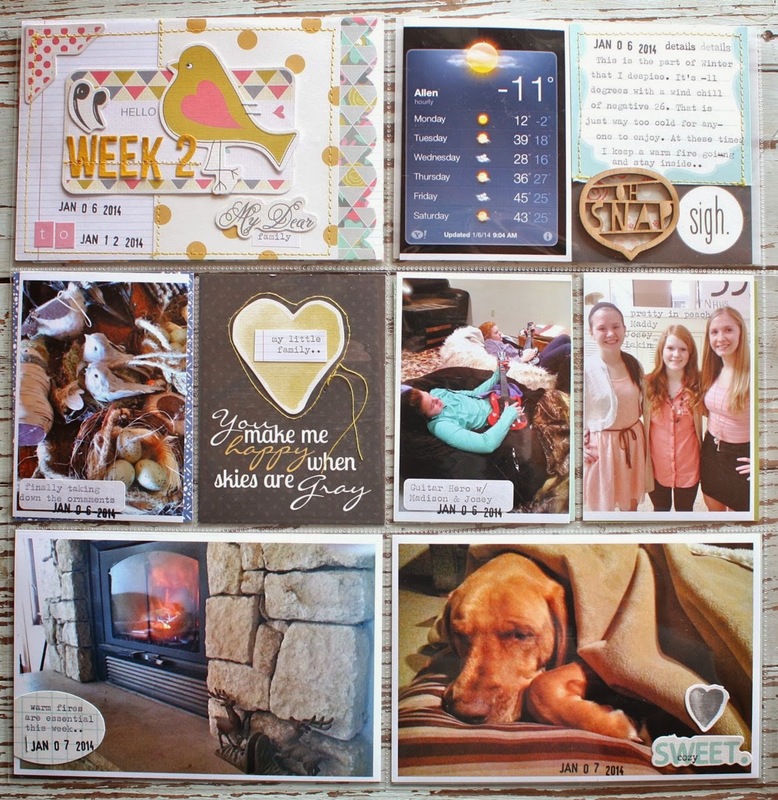 I also used the February stamps on the journaling card. 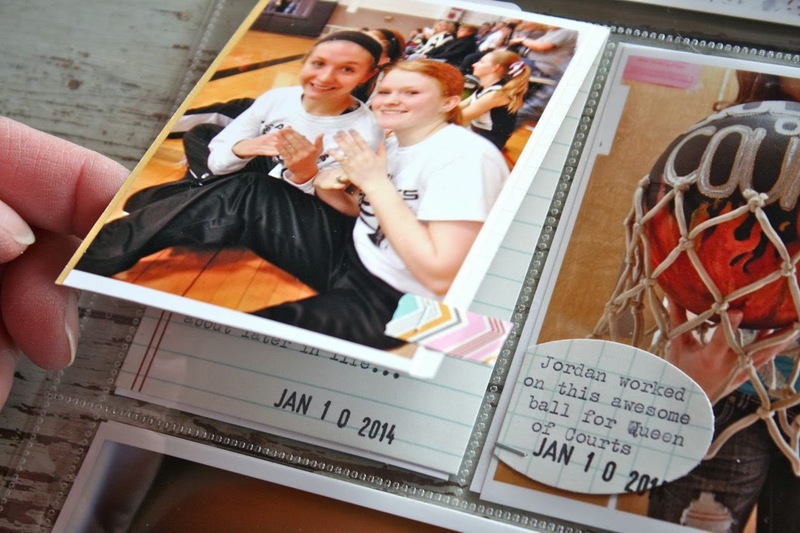 Punched grid paper from a 4 x 6 card makes for some great journaling spots. I typed my journaling first then punched the shapes. 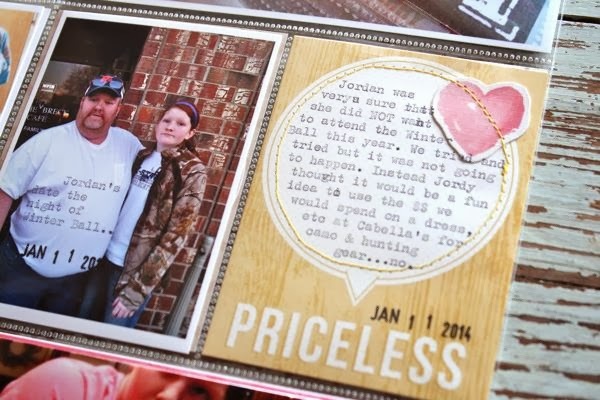 Check out that cool basketball that Jordan helped create for the Queen of Courts ceremony. I'm loving the workspace photos lately. Shows a little peek into what I do. Well...he is. 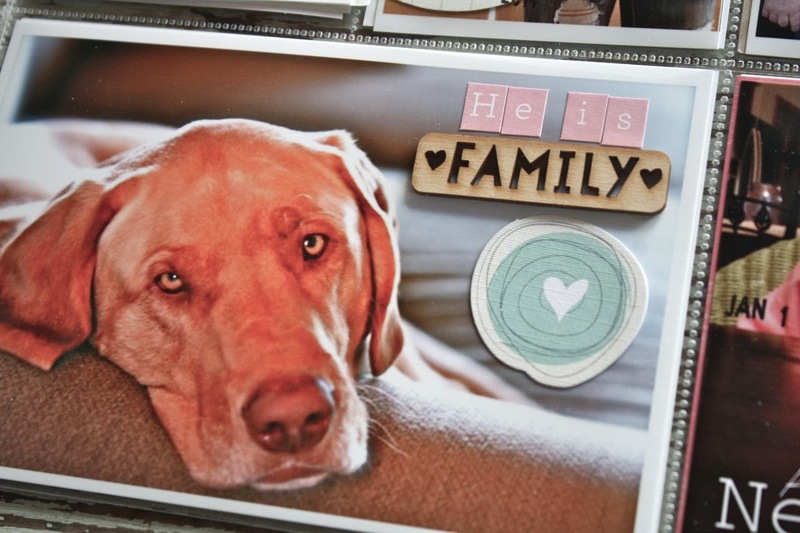 Use stickers, wood veneer and die cut shapes to fill in some blank areas of photos. Love when the family takes photos. Here I was photo bombed by Jordan while shuffling cards. Some of my favorite photos. 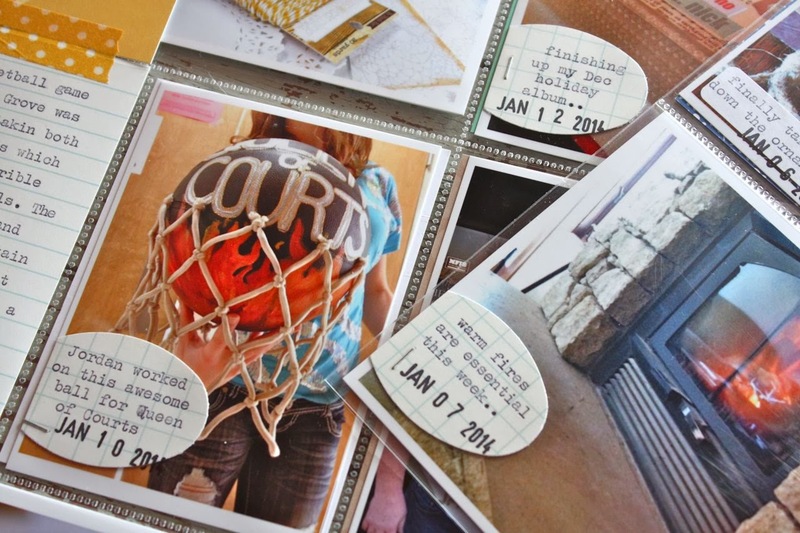 Over at the Gossamer Blue post I discuss how to add interest to stamped images. 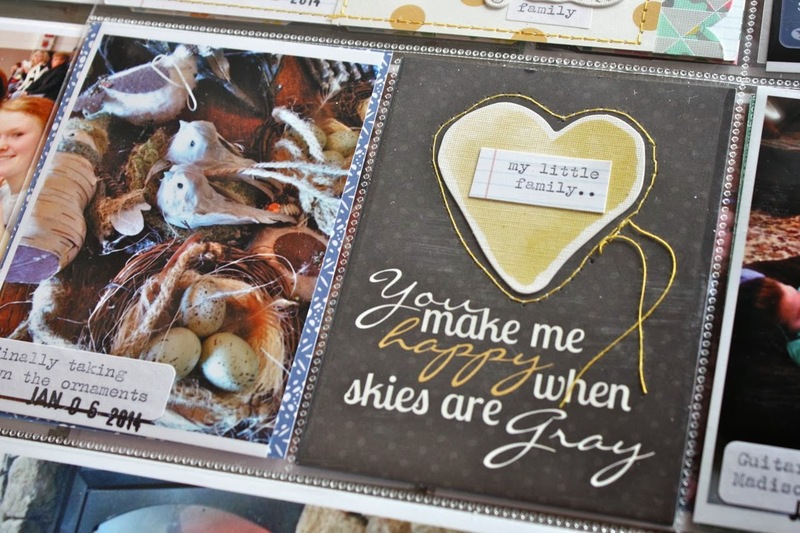 Here I used the interactive stamps from the Life Pages Kit from February. Stitching...always a favorite for me. I'm trucking right along with my 2014 Project Life. Still loving the process. 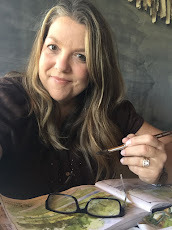 I'm changing things up just a bit and I'll share those ideas in future Project Life posts. 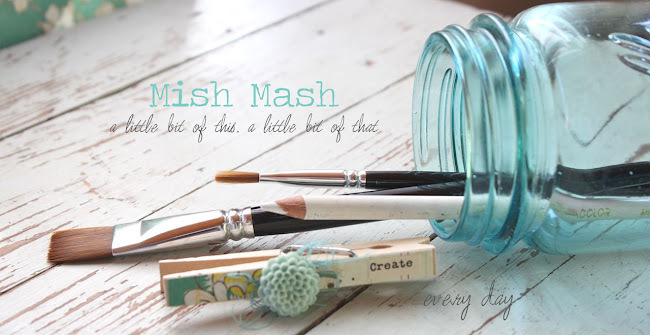 I've got some peeks of my favorite products from each kit over in the Gossamer Blue forums. 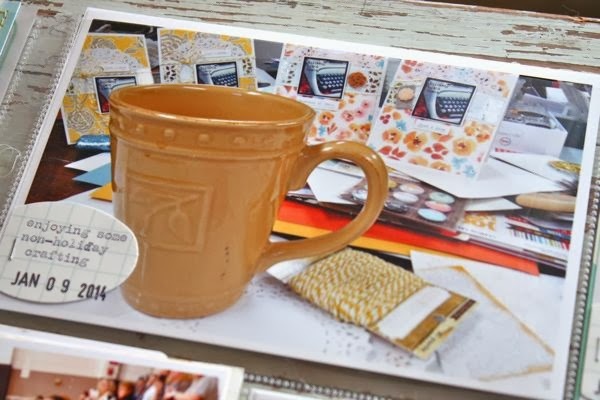 Kits sold out rather quickly last month and Lori has made some stellar selections for March too...so it's a great time to get first dibs and start a subscription to a kit. March kits go on sale March 1st. Stay tuned for some peeks at my finished projects soon. 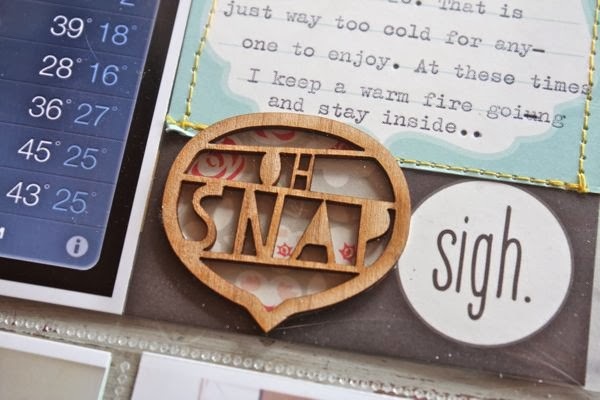 February Inspiration Board...Wood You Be Mine?